Imagine yourself in a land far, far away where an election had just been held and results had just been announced. In this land, as envisioned by the Economic Freedom Fighters, the poor are singing and dancing in the streets in anticipation of the lotto jackpot about to befall them as promised by their party, which had been announced as the winner of the poll. 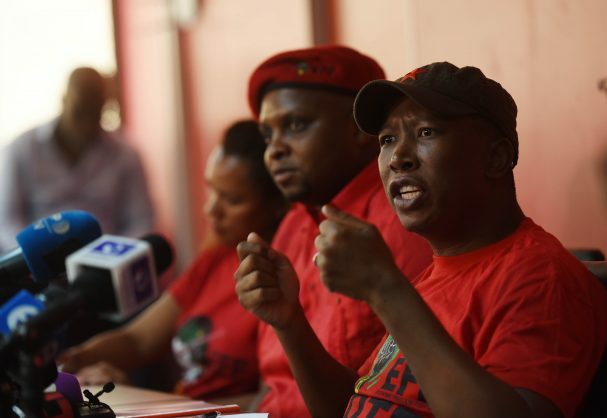 In the words of its leader, Julius Malema, and his deputy, Floyd Shivambu, the EFF is headed for an electoral victory in May. Again, cast your imagination to Juju being sworn in as the country’s first young president – thus changing from a commander-in-chief of some imaginary army to become the true CIC of the SANDF, a dream realised. A few days later he announces a cabinet of youngsters, among them probably a first female minister of finance as the party has a female treasurer-general, Leigh-Ann Mathys. The party’s central command team, an equivalent of the ANC’s national executive committee, declares Cyril Ramaphosa’s Sona delivered three months earlier, invalid because it would be too “pro white monopoly capital” and “anti-poor”. A week later Juju would instruct Mathys to announce a revised budget to replace Tito Mboweni’s “pittance” tabled earlier. All of Tito’s figures are doubled and even trebled. Disappointment is written on the faces of the non-radical economic transformation (RET) segment of the ANC MPs and the entire DA caucus as Malema takes to the podium to announce the immediate nationalisation of land, mines and the Reserve Bank. An irate Cope leader, Terror Lekota, along with his FF Plus counterpart, Pieter Groenewald, jeer and gesture at Julius to get off. Unsurprisingly, the ANC RET advocates applaud, with Ace Magashule and Tony Yengeni giving Juju a standing ovation from the public gallery. BLF chief Andile Mngxitama and his crowd like what Malema says but hate the man. 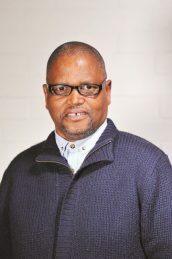 The ANC, now sharing the opposition benches with the DA and other small-anyana parties, is divided between those for and against Julius. The new EFF speaker, most probably Mbuyiseni Ndlozi, shouts orders to disorderly opposition members. He tells the “ungovernable” Mosiuoa Lekota to leave the House. And Ndlozi warns former minister Maite Nkoana-Mashabane to stop snoring and wake up from her nap. As President Malema continues, he instructs all tertiary institutions to forthwith open their gates for all excluded students as education is “free, compulsory and decolonised”. Overnight the country becomes a welfare state as all social grants categories and wages of cleaners, domestics, security guards, etc, are doubled. Now back to the real world: a losing boxer celebrates at the end of the last round even when he knows he is out. Similarly, the EFF is going into the May election with the attitude of a losing boxer telling everybody “I’m winning”. Official survey figures by both Ipsos Markinor and Institute of Race Relations put the EFF nowhere near winning. So, there will be no EFF government, no EFF president and no EFF victory speeches in May. Just Juju’s imaginary land far, far away.